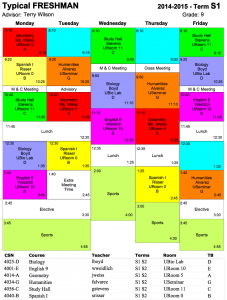 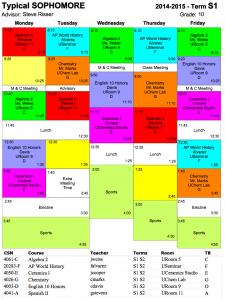 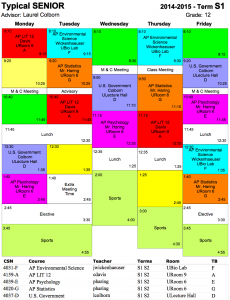 The High School schedule features seven rotating blocks with time allotted for meetings, electives and sports. Each class meets three days each week for two 65-minute periods and one-85 minute “long period.” Long periods are designed for class activities like science labs, student presentations, and on-campus outings. 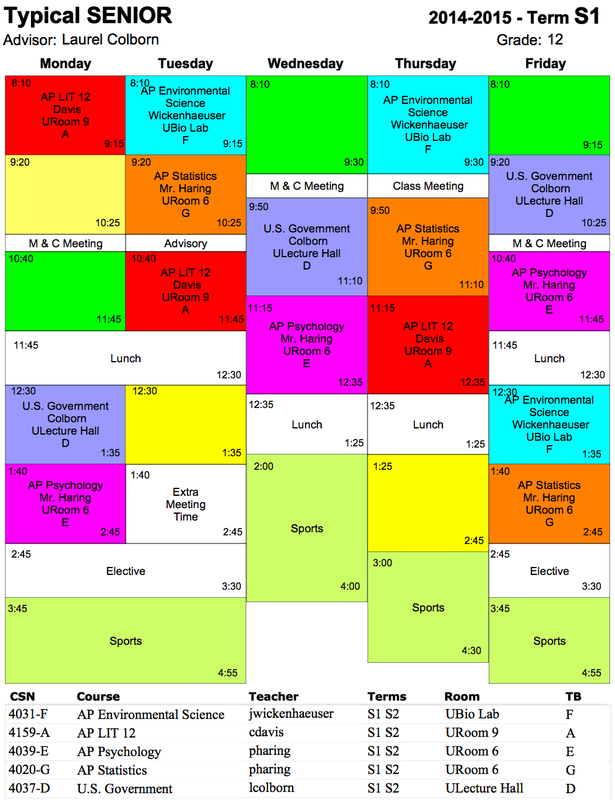 At the the High School the Dean of Studies works with the faculty and the student to tailor each schedule to his or her abilities, interests and strengths. The schedules below are examples of what an OVS student could expect at various grade levels.